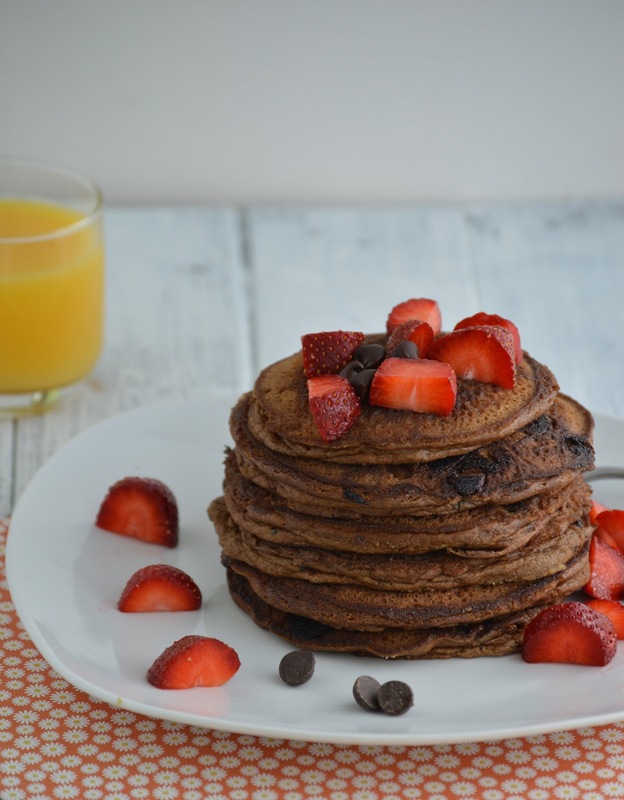 The Wholesome Foodie: Double Chocolate Chip Pancakes! Dessert for Breakfast.. Double Chocolate Chip Pancakes! Dessert for Breakfast.. When you're in the mood for dessert for breakfast, you make these. 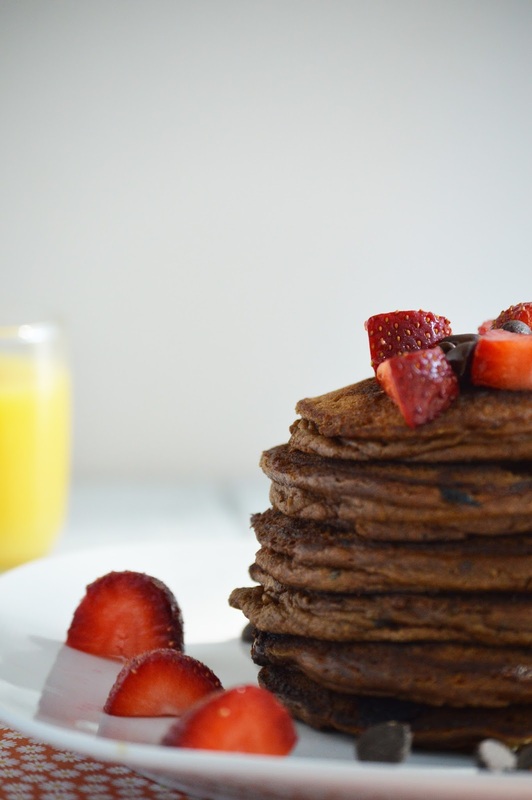 These pancakes are crispy on the outside, fluffy on the inside, and taste tremendously like chocolate cake. This sounds horribly wrong and sinful for a breakfast item. I promise you, they are not only delicious, but nutritious as well! 1. Heat a griddle or cast iron skillet to medium-high heat. 2. Combine all ingredients(except chocolate chips) in a medium sized bowl until combined. 3. Fold in chocolate chips until combined. 4. Using a 1/4 cup measuring cup, pour out batter onto a well-greased, hot griddle. Spread out into desired shape and thickness. 5. Cook on one side for 4-7 minutes until you can see the edges starting to brown. Flip and cook on reverse side until done. 6. Serve with maple syrup, strawberries, or just eat alone!